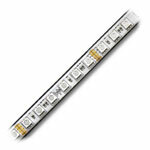 12 Channel LED DMX Decoder, 12-24VDC 4A/CH NEW! This DMX decoder allows for 48 Amps of LED lights to be controlled via a DMX control signal over 12 channels. Select your dimming refresh rate at 8bit (256 levels) or 16bit (65536 levels) to change the smoothness of your color fades and gradients. With two DC power inputs, one for channels 1-6 and the other for 7-12, this decoder can control 6 channels of LED lights of similar or variating voltage inputs. 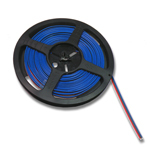 DMX connections are made using either XLR-3 type connections or RJ45 ethernet connections for the DMX signal input and output. 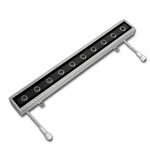 There are a total of four, 3 channel, common anode outputs with screw-down terminal blocks for easy connection and control. 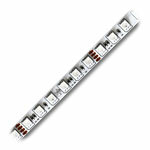 This decoder is able to accept 12-24VDC at 4A per channel (twelve channels total) for max load of 576W/12V, or 1152W/24V. You can set the starting address of the DMX decoder via the electronic display. Please note that each DMX decoder requires 12 addresses in the DMX universe being used. 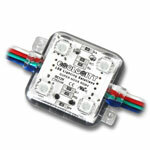 A built in LED light test mode is available with this DMX decoder, CE, RoHS approved. 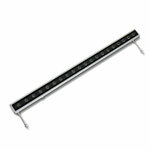 A 12-24VDC low voltage driver is required to power this unit and must be suffice to power the load of the light output. Systems with more than two DMX decoders being used require an XLR3 or RJ45 DMX terminator on the last DMX decoder in the series. The specifications for this product have changed. Please see spec table for details.